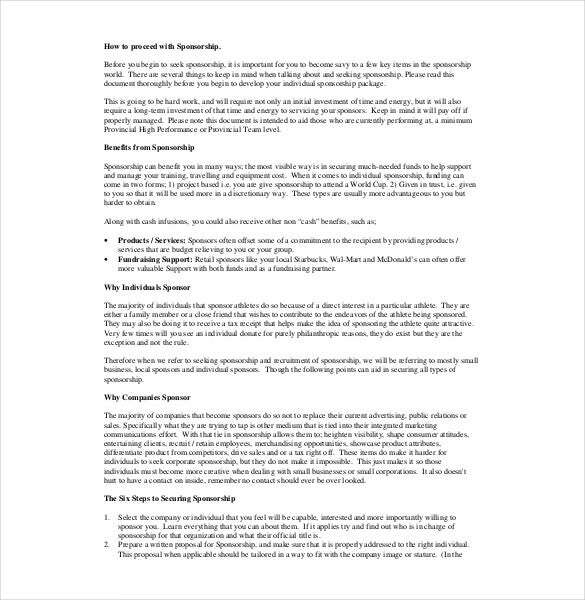 Sponsorship sample agreement templates primarily governs legal relationship between sponsor individual as well the person being entitle to enforce sponsorship obligation. This person might well be someone who’s being sponsored, owner of some specific locations that’s being sponsored, or even an event management company that’s being sponsored. 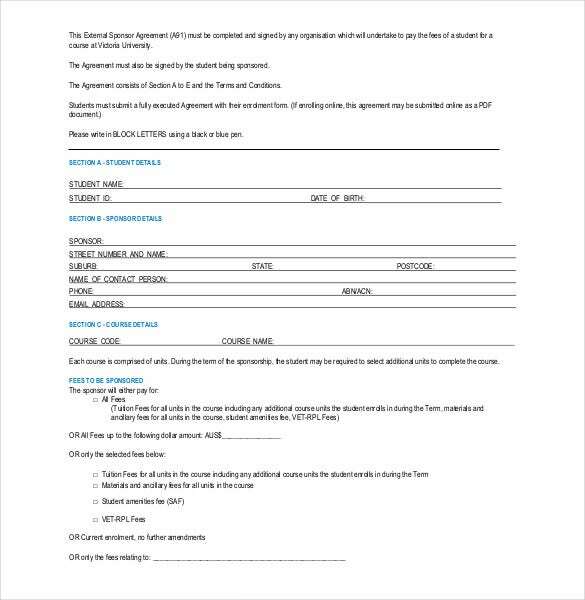 You can also visit Shareholder Agreement Template. 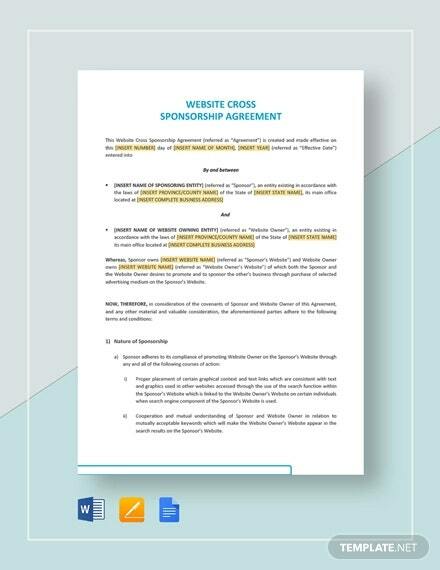 Using our sponsorship agreement template, you could be able to define the accruing benefits to sponsor, figure out the total payments being due, identifying the circumstances that would allow the sponsor’s trademarks to be used. Remember, it would be much easier to get the payment obligation enforced while the agreement is perfectly drafted. These templates feature sample draft format to make it easier for the user. 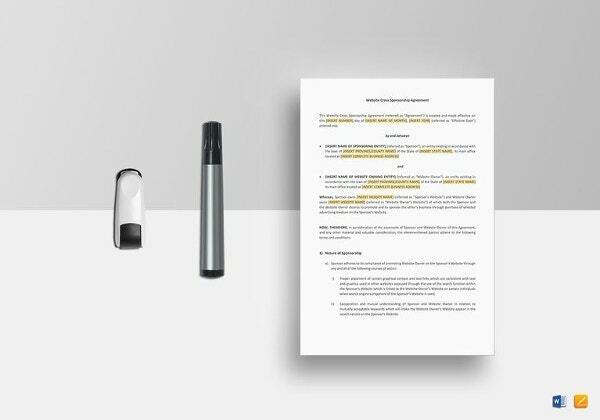 These Agreement Templates could be downloaded in PDF, Excel, and Word format. 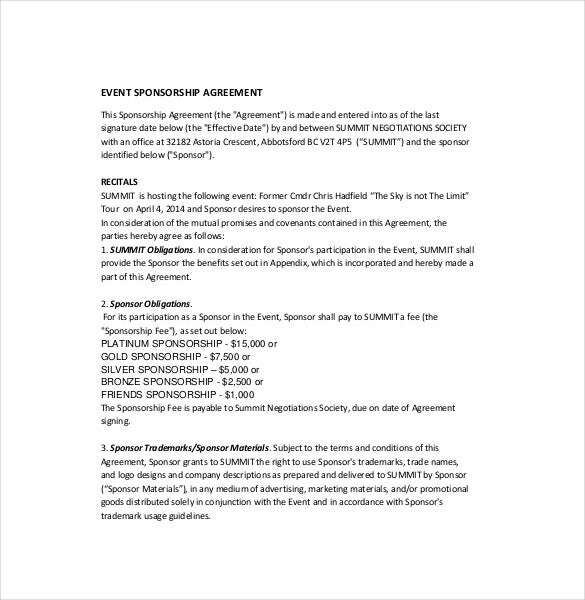 smartsettle.com | When planning for an event this form can help you sign agreements with the sponsors. It indicates the level of sponsorship chosen, how to use the sponsor materials and trademarks. The template can be downloaded in PDF. 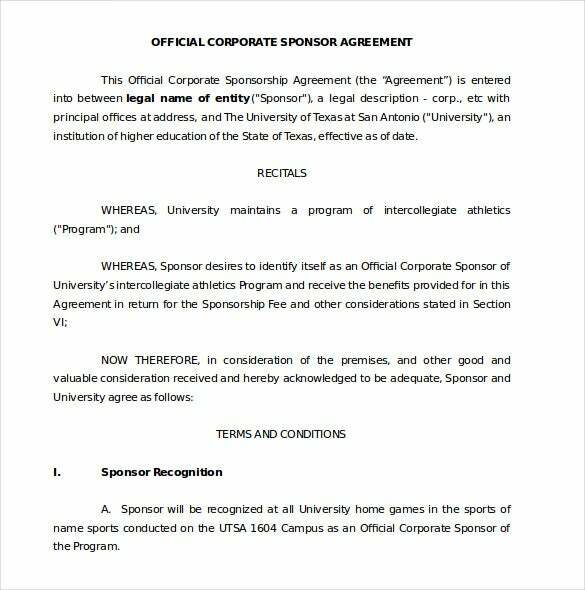 utsa.edu | This is used to make an agreement with the main sponsor. The Word format template explains how the sponsor’s logo and trademarks will be used, the sponsorship level among other details. 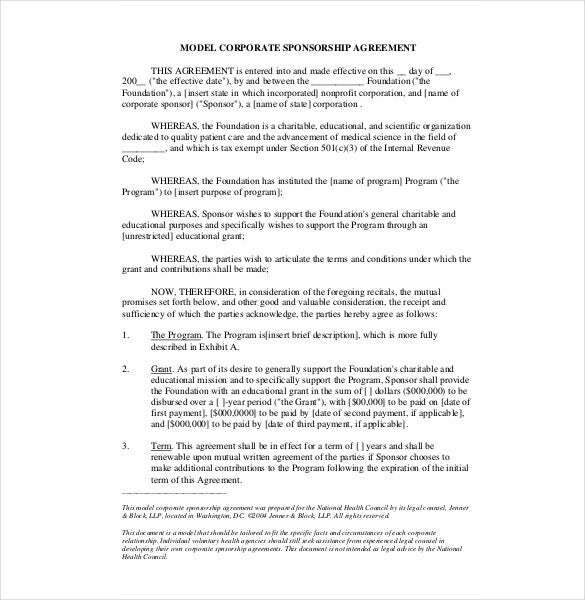 nationalhealthcouncil.org | This model sponsorship agreement can be used by any event organizer to make the agreement. This PDF file format template specifies the sponsor, the grant amount and the terms of sponsorship. 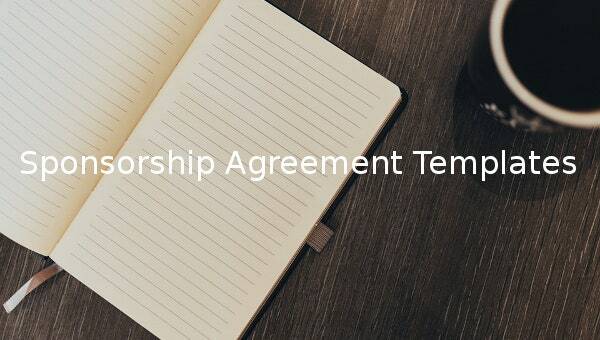 vu.edu.au | Anyone can use this Word sponsorship template form to create a unique agreement of their choice. Download it for free and customize as desired. It details the sponsor information and the amount granted. 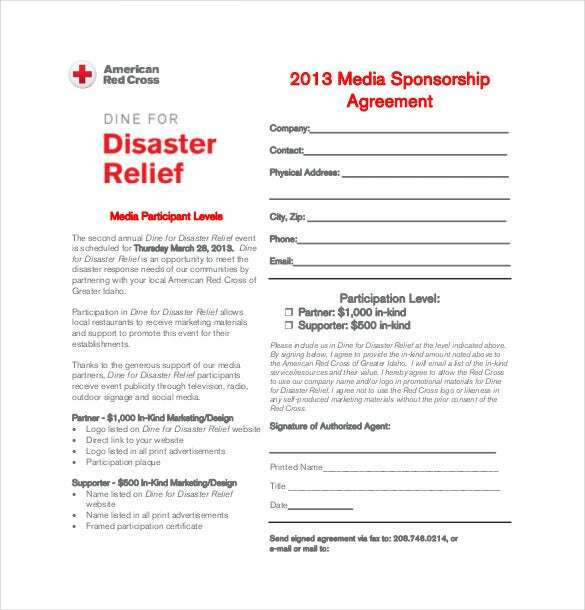 redcross.org | In order to get sponsors on board in an organized manner this PDF template can be of help. It includes the sponsor or partner details, the type of support given and a few terms of sponsorship. people.upei.ca | This template has been designed to help athletes apply for sponsorship. The PDF document has been written in sections to make it clear and easy to understand by anyone looking for sponsors. 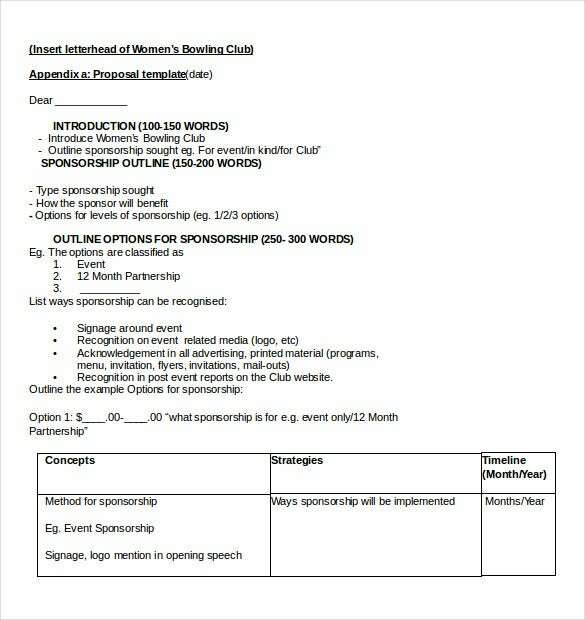 womensbowlsnsw.org | This type of sponsorship agreement is designed to indicate the sponsor details, the type of sponsorship given, the level of grant given and other terms. Download it in Word format. 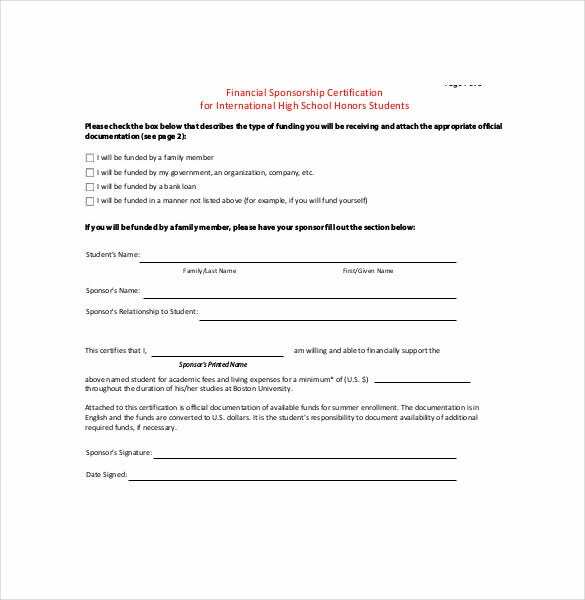 bu.edu | This form is used to get sponsorship information about an incoming student. The PDF document asks for the name, the person sponsoring, sponsor’s relation to the student and other relevant details. 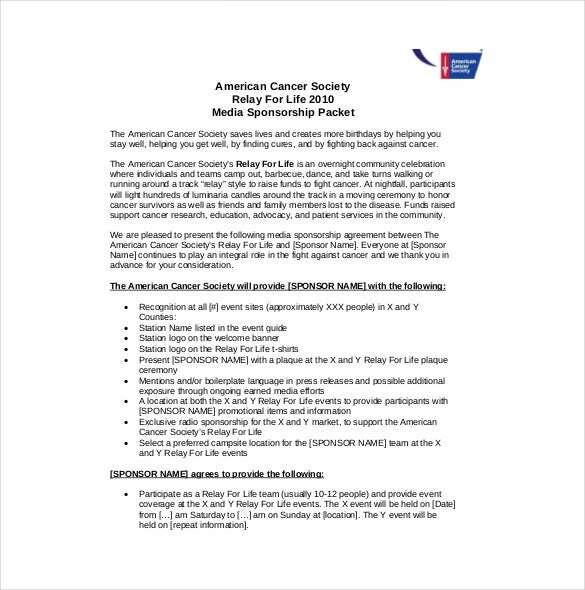 relay.acsevents.org | In exchange for media sponsorship for the American Cancer Association this template specifies what the sponsor will get in return in terms of recognition at event. It is available in PDF file format.